Depression is the plague of our age but prescribed medications aren’t the only things that can help. Magnesium supplements may show some promise. Depression is the leading form of mental illness in America. The cost of mental illness now outstrips all other medical and pharmaceutical expenses combined. Depression is not just the opposite of happiness, it is the opposite of liveliness and it has many causes. One of the contributing factors to depression is low magnesium in the body. A 2006 study recommended magnesium for recovery from major depression. Why is magnesium important? Magnesium is important because as a mineral, it helps the brain cope with stress. Increased stress increases magnesium loss, and the environment may not readily replace it. Since magnesium is such an important mineral to the brain as a part of almost every part of the stress response, recovery, and repair, it seems self-evident to study magnesium as how it relates to brain function and common stress-related ailments such as clinical depression. Participants were given 2000mg (248mg of elemental magnesium) daily for 6 weeks on an immediate or delayed (until week 7, the crossover) schedule. Depression scores on average over the trial dropped by 6 points, which brought the mean from moderately depressed to mild or minimally depressed, a clinically important change. Anxiety scores also improved. Participants reported reduced muscle cramps, aches and pains, constipation, and decreased headaches during the magnesium trial (all of these are known already to improve with magnesium supplementation and are signs of magnesium depletion). When asked after the trial if they would continue magnesium, over 60% said yes. Those that didn’t complained that magnesium didn’t help or it caused diarrhea (n = 8). The positive effect of magnesium supplementation was gone within 2 weeks of stopping the supplement, indicating a relatively quick clearance. Wow, a full 6 points was reduced on the depression scale. Anxiety was also improved. Implied in this is that the energy of participants also went up. So far this has been the experience of many people around me who have taken magnesium supplements. 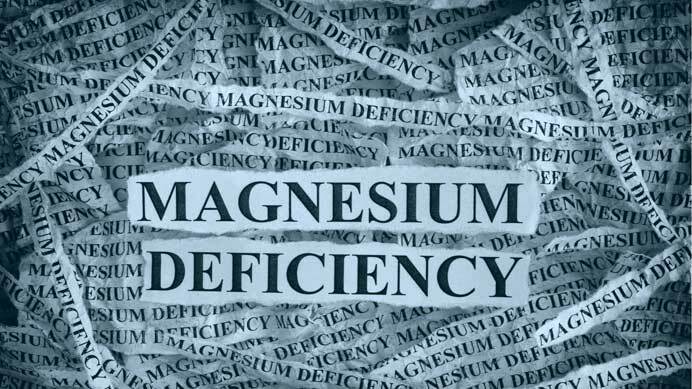 There are many reasons as to why people may have low magnesium. For one, a lot of the magnesium from foods is not available in good quantities due to the usage of pesticides which destroys the mineral. The consumption of coffee, alcohol and antacids also reduce magnesium absorption in the body. Stress in life also leads to magnesium loss and it is important to make up for it which unfortunately is not always easy to do without supplements. Although the study here was done of 2000mg daily for the participants, try talking to your doctor for the right amount of dosage for you as such a high amount may cause some irritation like diarrhea.